These are in the shapes of frogs and fishes but sadly on the way here with maybe the change of temperatures mine kind of melted all together to create a huge jelly! These actually show the fish/frog growing up in different stages through the gummies which is definitely something we don't have over here. With different flavours such as Lemon, Grape and Apple these are definitely a winner for anyone who likes jellies that aren't mega chewy! In the shape of Pocky sticks these Pokemon ones tasted like oreos! There was also a Pokemon quiz on the back of the packaging so definitely a great little gift for any Pokemon addict. This little set contained a mould with lots of different shapes on it along with 5 large chewy sweets that you could mould into shapes and faces. This isn't your typical minty gum as it has a slight lemon taste to it also! It isn't crazy strong and the taste is quite refreshing. 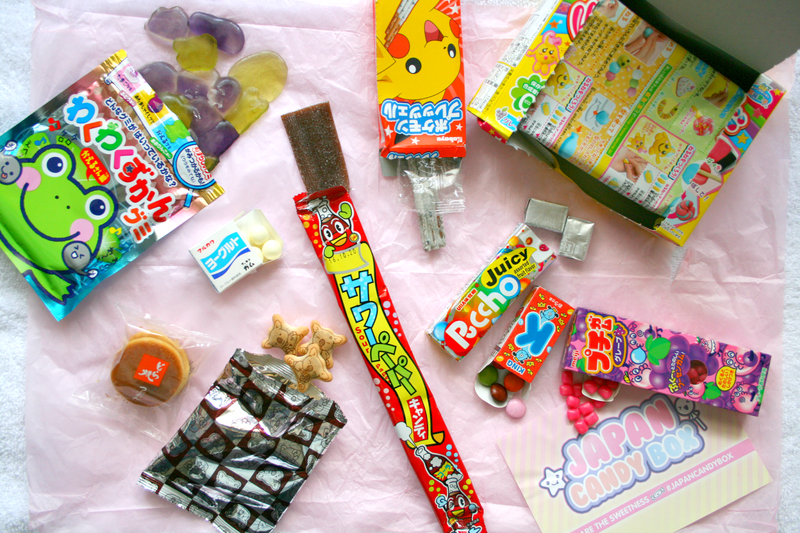 is a long strip of cola flavoured candy covered in sour sugar and it was definitely one of my favorites from the box! My brother robbed most of it on me after tasting it but from what I tasted I would definitely purchase some more of these. These were my favourite out of everything, they were chewy fruit flavoured sweets with pieces of gummy candy inside. They were honestly the best chewy sweets I ever tried and I need to order some immediately because they were just so good! Basically this is two mini pancakes with what I thought was some sort of Chocolate paste in the middle but with a little trip to the website it's actually sweet red bean paste. I didn't enjoy this but if you're into sweet things and love pancakes this may be for you! How cute are the Lotte Koala March Biscuits with the little koala prints on them! These little biscuits were so yummy they had chocolate inside them which tasted like Nutella and each biscuit had a different printed koala on them. Why can't our candy be this cute! the first thing I thought of was Smarties because that's exactly what they look like right! They tasted more like Beanos than Smarties but still good! I baked cookies and put these in them. Finally the last thing inside the box was Meiji Petit Bubblegumcontaining hundreds of little grape flavoured gum that can blow the biggest bubbles! Theres also a little game on the back of the packaging which I thought was so cute. 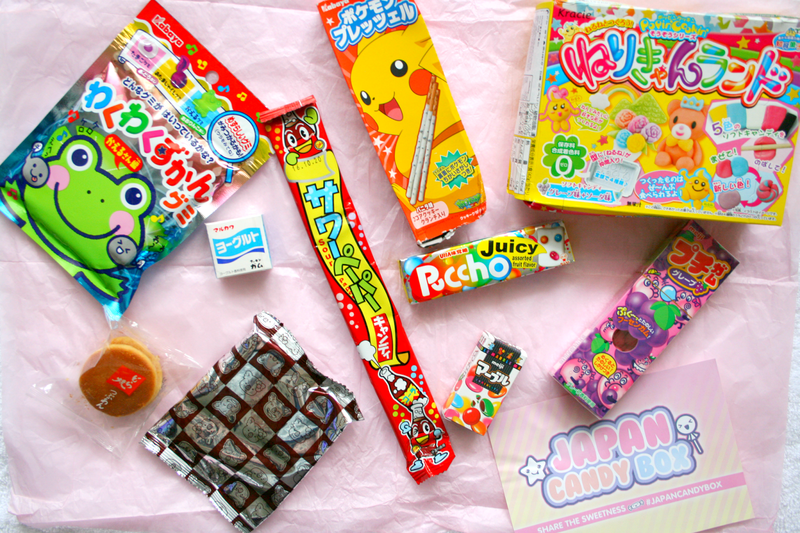 Have you ever tried Japanese Candy? Ohh I need Pokemon pretzels!